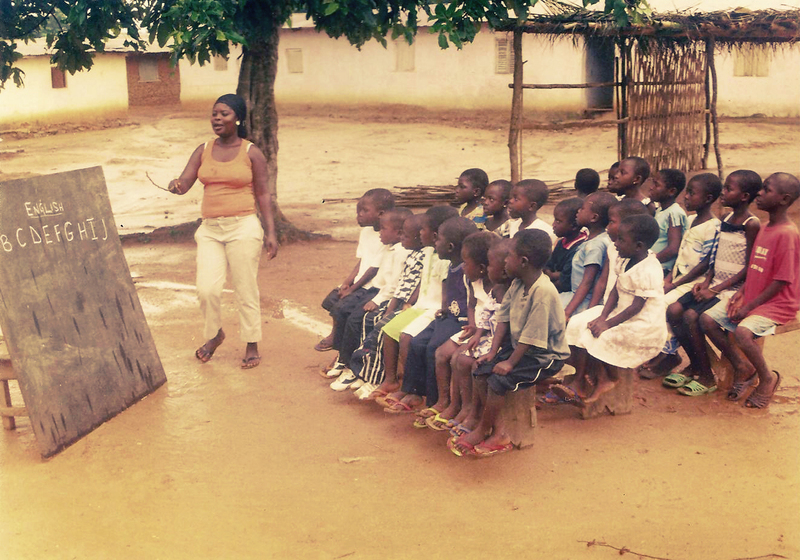 Since it became independent, Ghana’s education facilities have been continuously extended. Between 1992 and 2002 the government of Ghana invested about 7 percent of total state expenditure in the field of education. The education system was based on the structures of the former colonial power Great Britain. The system was only changed in 1986 under President Jerry Rawlings. General compulsory education consists of a six-year primary school, followed by three years at a Junior Secondary School. After finishing Junior Secondary School, pupils can start higher education in the Senior Secondary School. This must be attended for a further three years to obtain the West Africa Senior Secondary Certificate Examination (WASSCE) (also known as the Advanced Level Certificate). This qualification entitles pupils to study at university. Since 1957 there has been nine-year compulsory education which starts at the age of six. School fees are normal in Ghana. The costs for school equipment have to be paid by the family. The few parents who can afford this, prefer to send their children to a private school instead of a state school. Teachers at the private schools are better paid and are usually better qualified and motivated to teach. Misbehaviour in school is still often punished with corporal punishment. Ghana, which was formerly known as the Gold Coast, is one of the poorest countries in the world. Because of the high rate of unemployment, many parents cannot afford to finance their children’s education. Up to 50% of the population have to live on a pro-capita income of less than € 300 per year. Often, children are not sent to school because of the high school fees. As well as this, children are an important source of labour for the entire family. At present the rate of entry into primary school is about 60%. Poor parents send their children into the cities, often without any social contacts or family ties, in the hope that they will be taken in by aid associations and be given an education. Unfortunately, the few aid organisations are severely overcrowded so that many children end up homeless on the streets. Regular school attendance, which we take for granted, has only been inadequately implemented in spite of regulations by the state. Education means liberation from poverty and foreign aid – help for self-help. From our point of view, for children in Ghana, a craft qualification and good theoretical knowledge is a way to escape from poverty. With our school concept, we not only provide access to education for the street children on the farm, but also for the children in the immediate vicinity. At the moment there is no school in the nearby village Bosomabra. The next state school is about 7 km away and there is no public transport. Help for self-help must begin by educating the children in school. In our educational concept for the farm, this implemented not just by the mere communication of knowledge, but rather by simultaneous promotion of personal resources and potentials in creative subjects. On the Farm of Hope we are building a primary school to give street children access to education. Here, children above the age of 6 will receive basic knowledge in reading, writing and arithmetic and will receive instruction in creative crafts in a playful manner to enable them to discover their manual skills. As soon as it is financially possible, a training workshop will be set up on the farm. We will start with a bicycle workshop. The possibility of buying a bicycle from the farm will increase mobility and improve the structure of the region. In practice, this means that family members can go to work without having to depend on public transport and can take jobs which cannot be reached on foot. Parents who cannot send their children to school because of poverty can apply for free schooling with us. In return, we expect their active help in the running of the farm for a limited period. In this way, there is also an opportunity to obtain a bicycle from us. The qualification of training personnel in Ghana cannot be measured according to German standards, however with volunteers who have specialist knowledge, we offer continuous further qualification of our teachers and craft instructors. Whether and how many young people from the region who do not live with us can be integrated into our craft training program will only become apparent during the development of the farm. The costs for teachers and instructors will be financed partly by the state of Ghana and partly by our sponsorships. Over 32,000 children live on the streets in Accra, the capital of Ghana. Unfortunately, our farm will not be able to take in all of these children. However, our education concept will enable a fraction of these children to have fundamentally important education and provide adults with an attractive insight into the know-how of the farm. In this way we will provide a model function for the growth of the surrounding villages.